Happy Sunday, and a Happy Valentine's Day too! 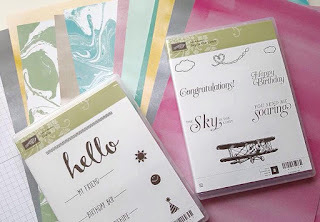 As we don't "do" Valentine's Day in our house (so I've been informed each year), I'll be spending my day with the family, and catching up on my customer thank you cards and gifts. Each month, to show my appreciation for my customers, I always send out a handmade Thank You card and gift, no matter the size of their order, and this month my customers are receiving one of my 3" creations made using our In Color 2015-2017 range with the Flower Shop stamp set. 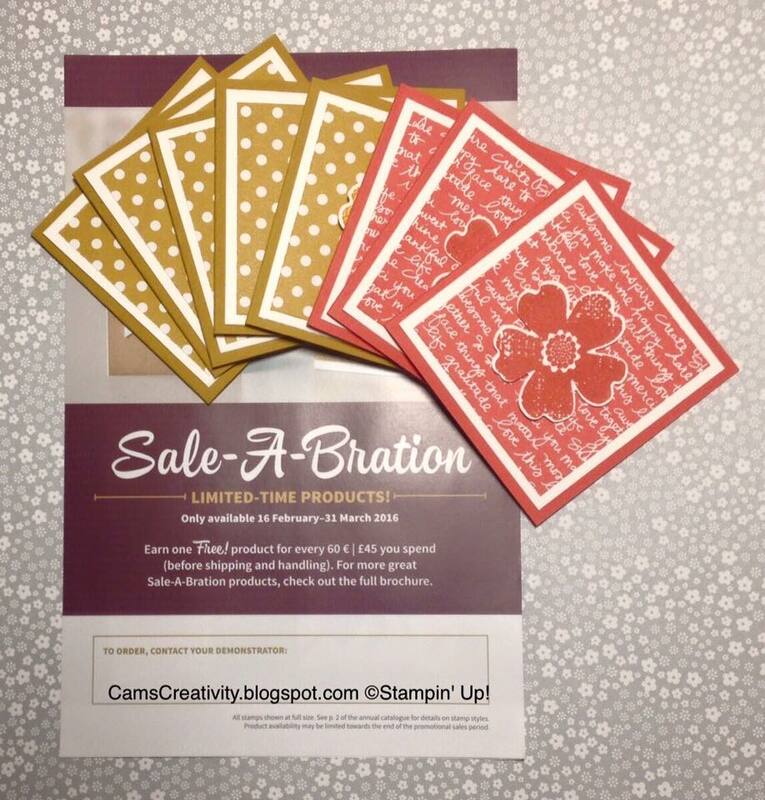 As there will be some new limited-time Sale-A-Bration products going live on Tuesday (and these beauties retiring tomorrow), I've also enclosed the new Sale-A-Bration supplement, along with a gift created using the new goodies. 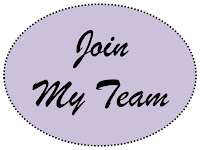 Have you liked my Facebook page, Cam's Creativity? 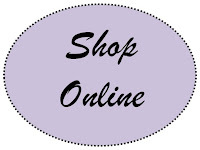 If not, you might want to do so, as I'm holding a Facebook party Tuesday evening to launch the new Sale-A-Bration goodies. I'd love it if you could make it! Labels: Cam's Creativity, Flower Shop. 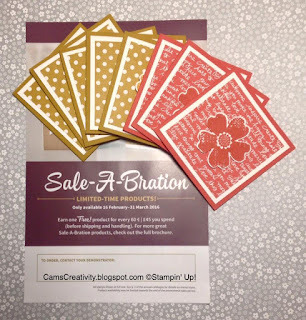 2015-2017 In Color, Sale-a-Bration, Stampin' Up!